Aktif Elektroteknik is producing Mobile Substations for Transmission & Distribution Systems. SMS series mobile substations are transformer and distribution substations on mobile platforms in order to provide energy for temporary or additional energy demands of facilities. SMS series mobile substation is used for applications like temporary power demands, mining applications, military camps, industrial facilities, emergency power demands and additional power requests. SMS series mobile substation can be installed on trailer, platform, wagon, vessel according to the application and HV switching equipment can be chosen as gas insulated or air insulated. 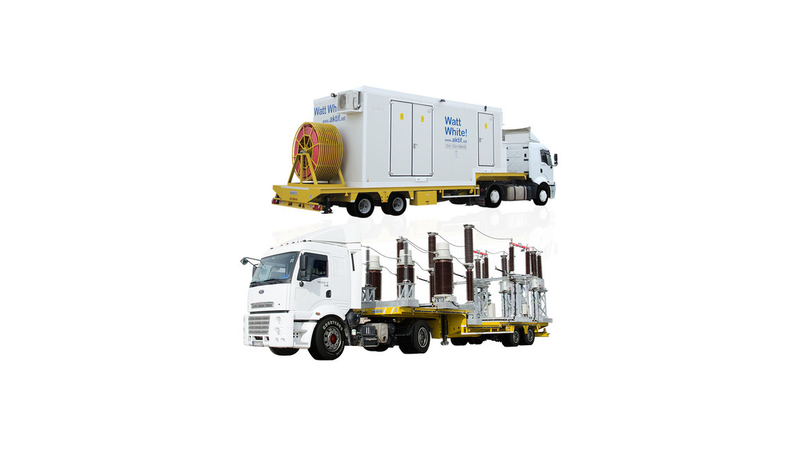 Complete mobile transformer substation can be equipped with remote control systems. SMS series mobile substation can be produced in a short time and low cost in comparison with fixed type substations. SCK series sheet steel kiosk used for SMS series mobile substations can be equipped with special systems according to request like fire alarm and fighting systems, smoke and gas detectors, HVAC systems, ventilation and pressurization systems, ex-proof fan, ex-proof lighting etc.